China - Welcome to 2B! Click the icon to the right and follow the directions given to get your authentic Chinese name. 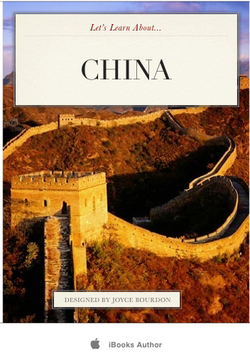 Use your iPad to read and interact with our China study. 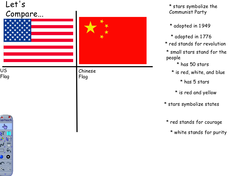 Be sure to pay close attention to the differences in the Chinese and American flag. Move the descriptors to match each flag. If you need help be sure to look at the China fact slide. Clean the house while you prepare for the New Year Celebration. This story has an important moral about treating others. 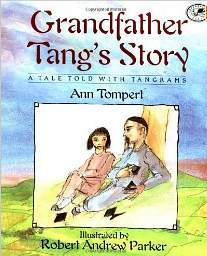 Listen carefully to your teacher read the story so you can write about what you think the moral is and also how Grandfather Tsang and Little Soo follow that moral at the end of the story. If you click the cover of the book, you will see the text and the tangrams that are made throughout the story. Look closely at them as you will make some of these tangrams for yourself. Zoom School Panda ... research lesson. Click on "View Fullscreen" on the document below to read all about the Panda. Be sure to "scroll down" the side to see the entire document. Locate the information to answer each question on your printed out work page. Write the answer on your paper. 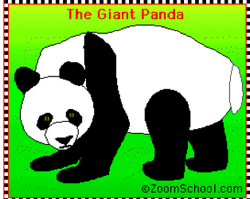 Keep your research about the Panda in your China folder in case you select the Giant Panda to be included in your Research Report.